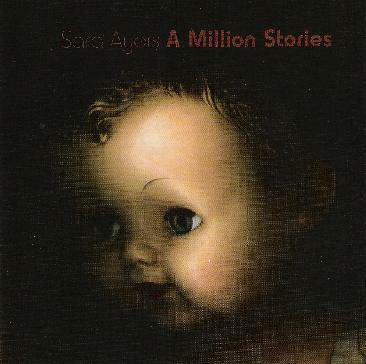 Sara Ayers - "A Million Stories"
Sara Ayers is described as an Ethereal vocal composer. A million Stories is a 38 minute journey inside a very special world. You really have to have the candles lit and the room quiet so you can get sucked into this world. It is totally amazing and I have never heard anything quite like this before. Sara describes herself as a sonic explorer and I can't think of a better word to describe this either. Fans of Brian Eno will probably like this quite a lot. She does all the music herself which includes both sung and spoken words mixed with interesting samples and sometimes new age like synth sweeps but the voice is used to create a lot of the sound. Very original and fantastic. For more information you can visit the Sara Ayers web site at: http://www.saraayers.com.